Dal 23 al 25 giugno 2014 a Riva del Garda si terrà il V Simposio della Commissione Tecnica ISPRS (International Society for Photogrammetry and Remote Sensing) sul tema "Close-range imaging, ranging and applications". Il Simposio è organizzato in sessioni plenarie e parallele, interventi di relatori invitati da ambiti di ricerca e commerciali e un'esposizione dei più importanti players nel settore close-range. - Michael Wimmer (Institute of Computer Graphics and Algorithms, Technical University Vienna, Austria) - Do we need the full 3D reconstruction pipeline? 1.Gli articoli completi saranno sottoposti ad un doppio processo di peer-review e pubblicate nell'ISPRS International Annals of the Photogrammetry, Remote Sensing and Spatial Information Sciences. Gli articoli dovranno essere di almeno 8 pagine di lunghezza. Questo tipo di sottomissione richiede la preparazione/sottomissione di articoli entro il 7 marzo 2014. Il processo di revisione darà notifica entro il 25 Aprile 2014 e l'articolo finale sarà richeisto entro il 12 Maggio 2014. 2. 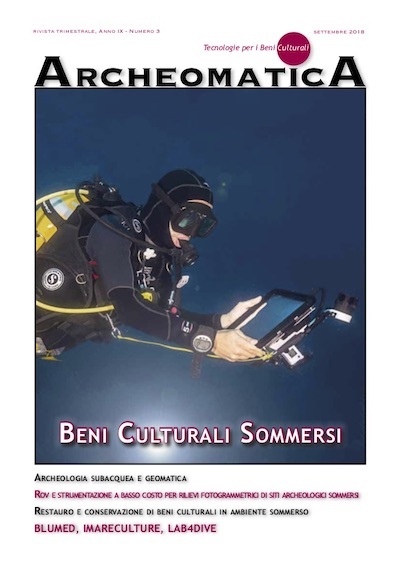 Abstracts estesi sarano sottoposti a processo di revisione e pubblicati nell'ISPRS International Archives of the Photogrammetry, Remote Sensing and Spatial Information Sciences. Gli articoli dovrannoe essere di almeno una pagina di lungheza, possibilmente con immagini e dovranno essere sottoposti entro il 7 Marzo, 2014. Se l'abstract è accettato (notifiche dal 25 Aprile 2014), sarà richeisto un articolo esteso entro il 12 Marzo 2014. The ISPRS Technical Commission V (http://www.commission5.isprs.org/) Symposium will take place in Riva del Garda (Italy) on 23-25 June, 2014. The Symposium will feature 3 days with plenary and parallel sessions, invited speakers from research and commercial domains and an exhibition of the most important business players in the close-range domain. 1. Full papers undergoing a double-blind peer-review process and published in the ISPRS International Annals of the Photogrammetry, Remote Sensing and Spatial Information Sciences. Paper submitted for the peer-review process should be at most 8 pages in length. This kind of submission requires the preparation/submission of the full paper by March 7th, 2014. The review process will deliver its notifications by by April 25th, 2014 and the final paper will be required by May 12th, 2014. 2. Extended abstracts undergoing a review process and published in the ISPRS International Archives of the Photogrammetry, Remote Sensing and Spatial Information Sciences. Abstracts should be at least 1 page in length, possibly with images, and should be submitted by March 7th, 2014. If the abstract is accepted (notification by April 25th, 2014), a full paper will be required by May 12th, 2014.